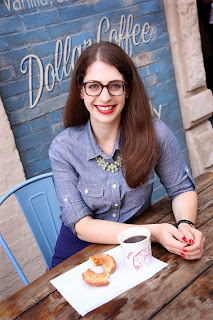 One of the newest Mag Mile restaurants is probably one you've never seen! 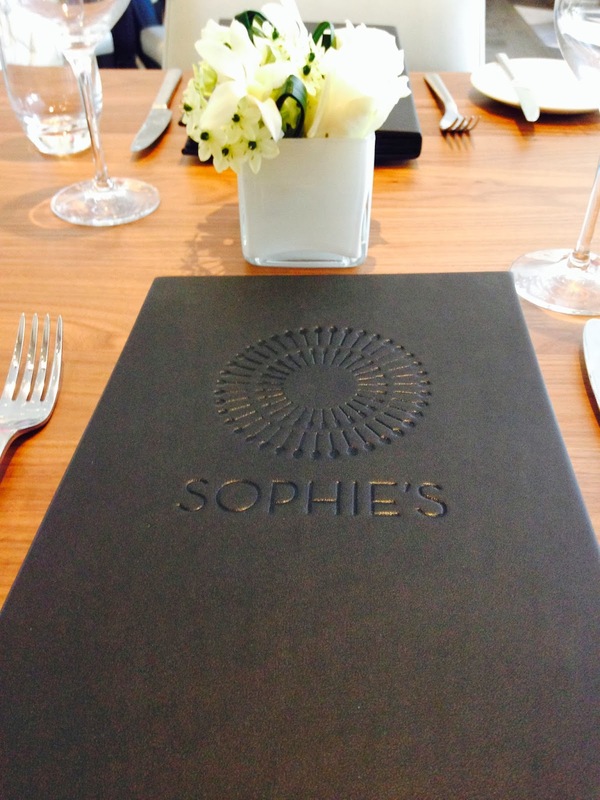 Sophie's is a new American restaurant situated on the 7th floor of Saks Fifth Avenue Chicago. The restaurant has stunning views of Michigan Avenue as it sits at the corner of Michigan and Huron. It's tucked away on the same floor as the new men's store, The Fifth Avenue Man. The menu at Sophie's is executed by Chef Ron Aleman and features a selection of appetizers, soups, salads, and entrees for lunch. 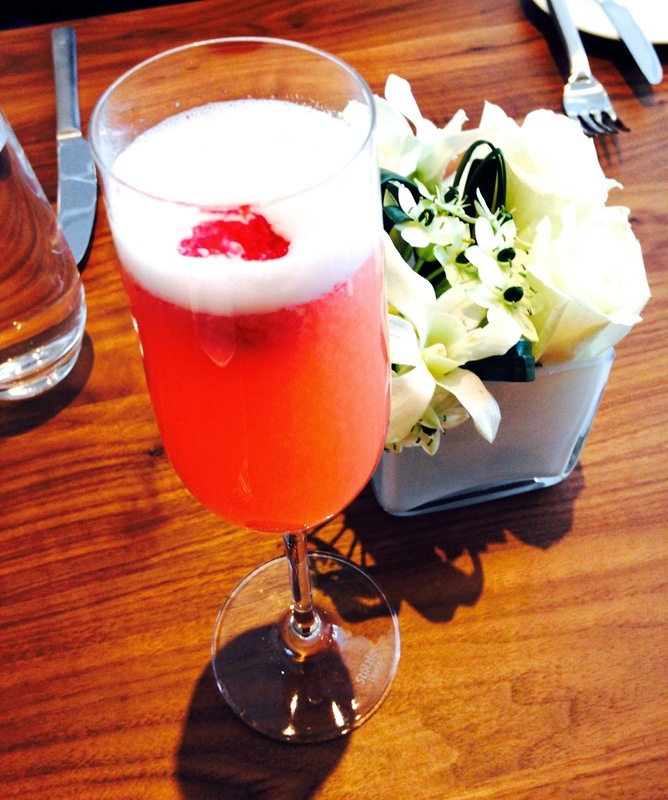 The menu also features seasonal craft cocktails, housemade sodas and teas, and a thoughtful wine list. My friend Missy joined me for lunch at Sophie's on a sunny Saturday. We weren't seated with a window view of the Mag Mile, but the space was so bright and warm, we didn't mind. We both started off with a champagne cocktail while we browsed the lunch menu. 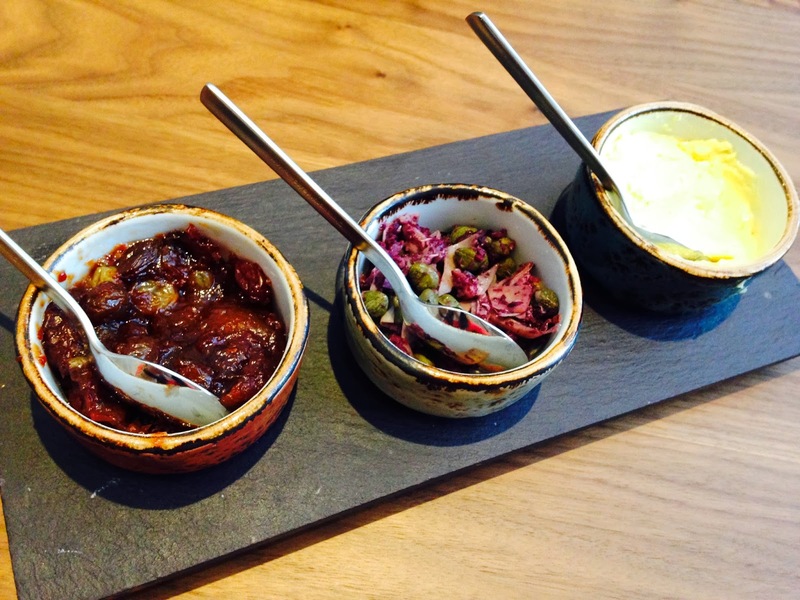 In addition to a selection of fresh breads, we were also presented with a trio of homemade spreads including berry preserves, an olive tapenade, and curry butter. Our favorite was definitely the chunky berry preserves. Since we both love seafood, Missy and I decided to share a crab cake. 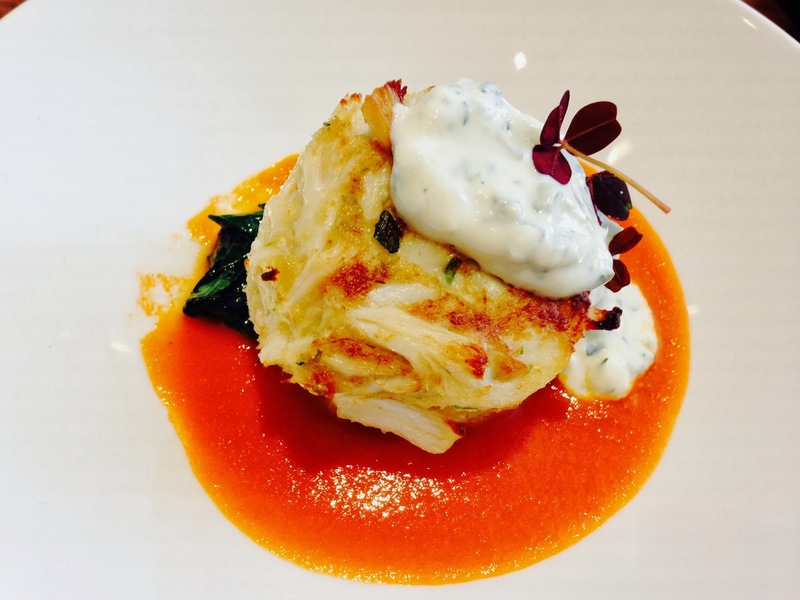 The giant crab cake featured huge chunks of fresh crab meat and sat atop san marzano tomato bisque and spinach. A generous dollop of homemade tartar sauce also didn't hurt. For our entrees, we both ordered one of the composed salads. 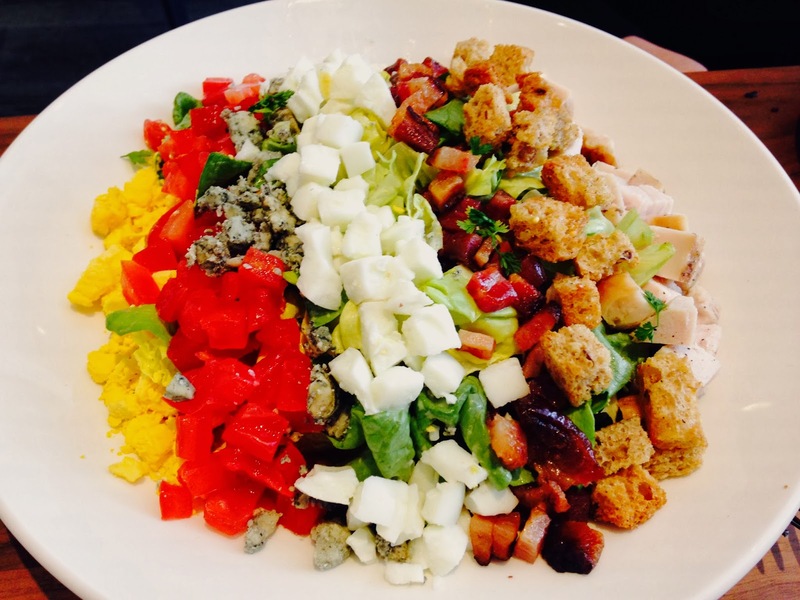 Missy tried the Butterhead Lettuce Cobb Salad which was super colorful and fresh. The salad included turkey, tomato, bacon, egg, croutons, blue cheese, and honey mustard dressing. I almost didn't want her to mix up the ingredients because they were perfectly aligned on her plate! I chose the Pink Lady Lobster Salad which blew me away in terms of the presentation. It was almost too pretty to eat! 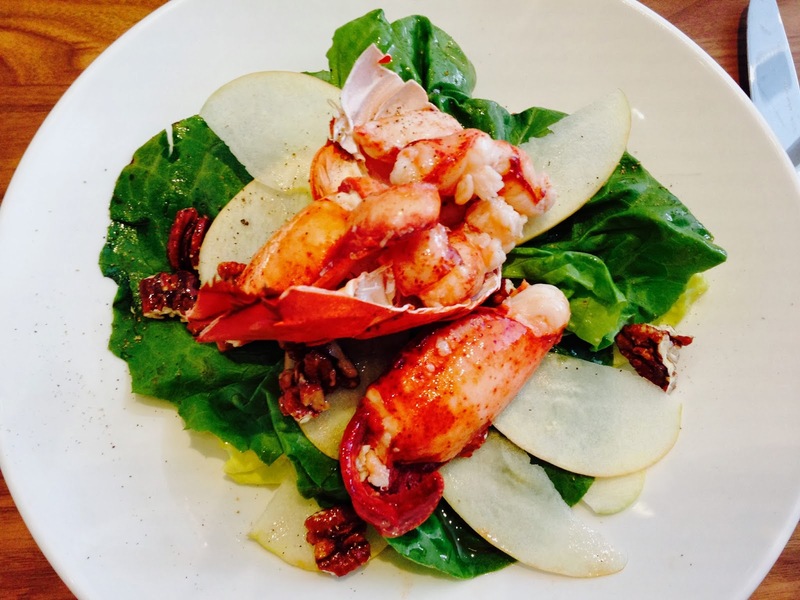 Butterhead lettuce leaves were topped with shaved apple, candied pecans, vanilla-caramel vinaigrette, and huge pieces of fresh lobster. It was so nice to not have to work to get that buttery lobster meat! We were both pretty full after our appetizer and salad, but our server convinced us we had to try the Coconut Bread Pudding. 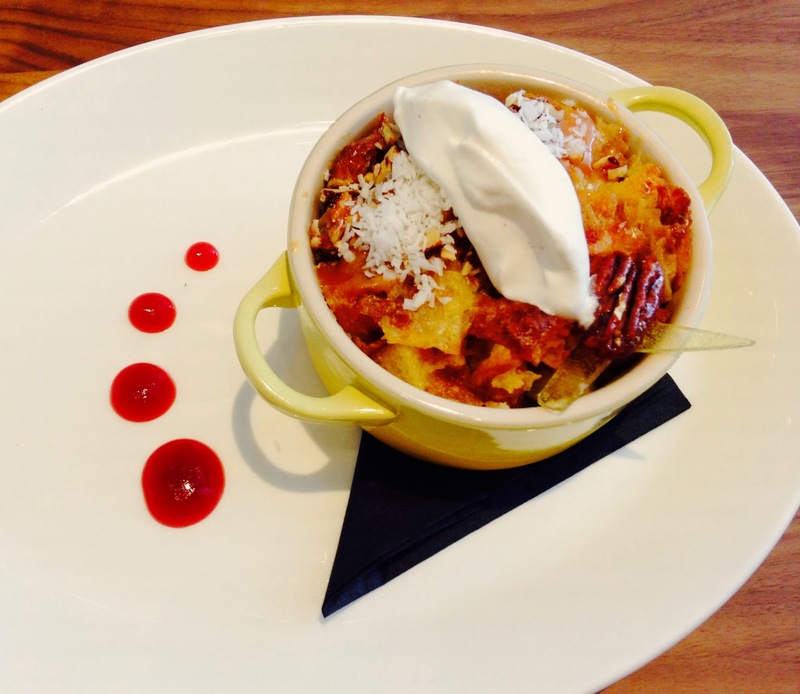 I've just recently become obsessed with bread pudding, so I knew I'd love it. The dessert included croissants drenched in salted caramel sauce, and was topped with coconut shavings, and vanilla bean ice cream. We were both in heaven! Our meal ended with a glass of bubbly to cap off a wonderful Saturday lunch. 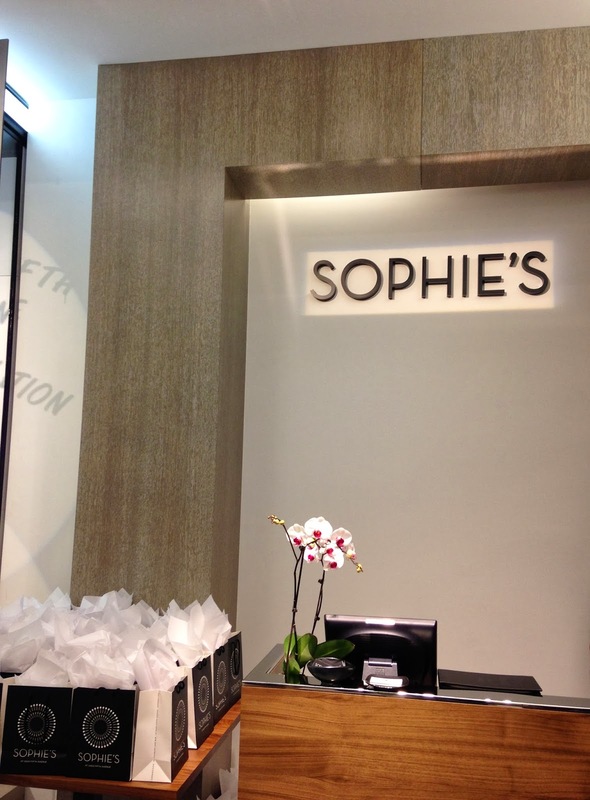 I recommend stopping in to Sophie's for a lovely shopping break the next time you find yourself on the Mag Mile! Note: My meal at Sophie's was complimentary, however, the opinions expressed herein are my own.